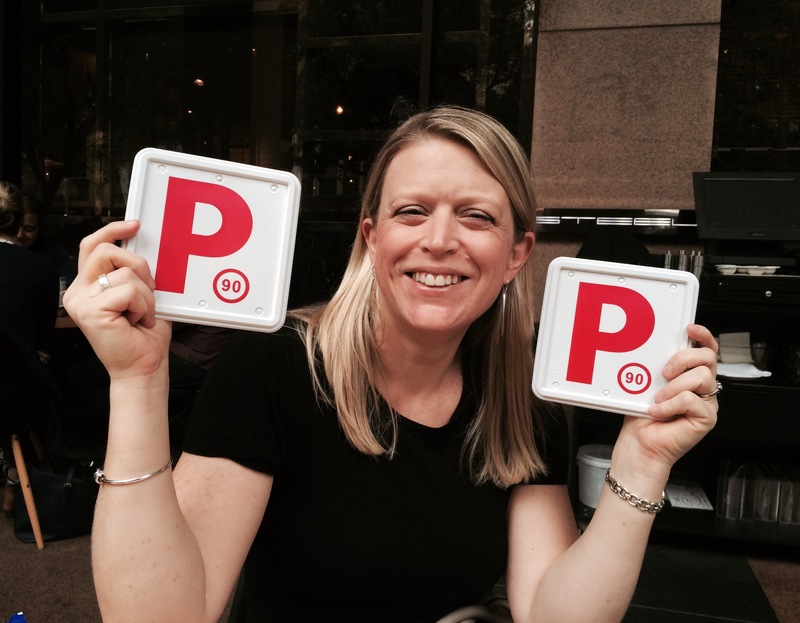 As I live in Sydney, Australia, before I could get a Learner’s licence I had to complete the New South Wales Road and Maritime Service Pre Learner’s Course. My course was carried out by Stay Upright in Clyde and took place under the M5 motorway. It was a straight forward course where we were taught the basics from switching on the bike, moving forward and then more advanced stuff of riding around in figures of eight at 10 kph. At that time, it was quite the adventure! The idea of the course was to ensure that the we were all reasonably competent before we could rise in the open road, subject to passing a written test. The written test is a 20 (?) question multiple choice test taken at the RMS centre, having been a car driver for 24 years and spent the previously week studying the Motorcyle Riding Manual and practice questions in the website, I passed this first time. The lady in the RMS was very kind when she handed me my Leaner plates and wished me well told me to take care when I was riding. Now I was free to ride on my own in the road…. Eh? What? I now have to go and ride a motorbike on my own? This thing could really hurt me…and then there was a motorbike dropping incident (let’s just say it was a test ride bike and it cost me a lot of $$$ in the insurance excess) so I decided that I needed something more. This course was just what I needed, it was a very well run with only 5 attendees so we had a lot of attention, we also got use their bikes which were thoughtful fitted with crash bars, probably to protect the bikes more than give confidence but it worked for me. The training ran for about three and half hours and we covered hill starts, pulling away from junctions (left and right turns), basic cornering skills and emergency stops. Discussions were had in a classroom followed by sessions on their closed road track, a former police training school. I have two key memories from that course, lessons that will last with for a lifetime. The first was why I had previously dropped a bike. Turns out that I was freaking out as I was coming to a stop which meant I was putting my left foot down too early, the result of which was, when the bike had stopped and gravity took over, my foot was just that little too far behind me to enable me to hold the bike up, hence the bike drop. Since then I have not dropped a bike upon stopping (there was another drop involving gravel but that’s another lesson). The second lesson was about how to pick up a motorbike, in the event that it does end up on its side. The trick is the turn the handle bars so the front light(s) is/ are facing the sky, then bend your knees, grip the handle bars and lift the bike, like a fulcrum. We all tried it with the HARTS motorbikes and everyone was able to do it… I would NEVER be able to lift my motorbike from the side, not without help anyway. This was the first course I did on my own motorbike and was also run by HART. After having practiced on the open road for about three months, I was desperate to take my test and start my year’s countdown to obtaining my unrestricted licence- in NSW, an experienced driver or over 25 years old, needs to hold a provisional licence for twelve months, with a stack of restrictions, before the rider gets to graduate to an unrestricted licence. Anyway, back to my story, although I had been out and about on the road at this point, under the watchful eye of Gary, I wanted more, I also didn’t want to go straight into a test without knowing what to expect. Some people study test-passing tips on YouTube but that’s not my thing. We started the morning with a classroom session explaining what would happen and then we went out to check our motorbikes. The instructor ran through checking fluids, chains and tyre pressures, both to teach us and check that out motorbikes were roadworthy. After that he took us through various aspects of the test – the follow-me ride out in the road and then the slow riding skills on a closed area. The point of this course was almost a nerve settler, to explain how it would work on the day and the chance to learn the skills required and then practice them ahead of the course. When I learned to drive with a driving instructor, this was all covered in the lessons, he taught me how to pass my test. I found learning to ride a motorbike different as I could pretty much go out in my own but that meant there was no one there to teach me how to pass a test, this course filled that gap. I nervously turned up on a cold March morning for my test at St Ives in northern Sydney, this place always makes me smile since I have spent so much time in the other St Ives in beautiful Cornwall. The intent of the day was to teach skills and then test on it. It ran pretty much like the previous prep course I had done but ending with the test. There were the two parts, first of which was the road ride, where you can pretty much only fail if you crash otherwise you’re good. Then was lunch and the slow riding skills and emergency stops. I’m pleased to report that I passed first time although by a whisker; what almost got me was the emergency stop, I was just on the limit of stopping distances which meant any more points acquired would have been a fail, phew!